Begin here to learn about our undergraduate, graduate and certificate programs and the many unique features our Faculty has to offer. It is all in this single, print-friendly catalogue. You can also view all of our degree and certificate programs online, at a glance. You're always welcome to apply now. 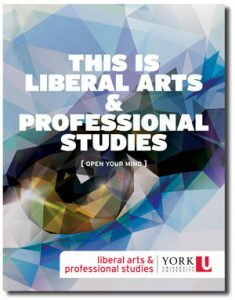 Open or download a PDF of the 2019/2020 LA&PS Viewbook or click the image below.